The Barbican has promoted head of corporate sales Anthony Hyde to head up its new Barbican Business Events team. Hyde, who becomes general manager of business events, will work more closely with the Barbican's sponsorship and arts teams for the benefit of corporate clients. As part of the reorganisation, business development manager Samme Allen has been promoted to head of sales. She will work with Lee Dobson, head of event management. 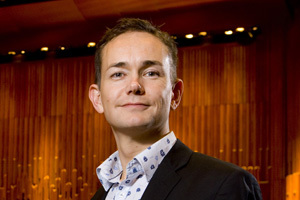 In addition to managing the Barbican venues, Hyde's extended role will take in the Guildhall School of Music and Drama's new Milton Court venue, which includes a 608-seat concert hall and 227-seat theatre.